The Lisbon Educational Equity Statement, July 2015. 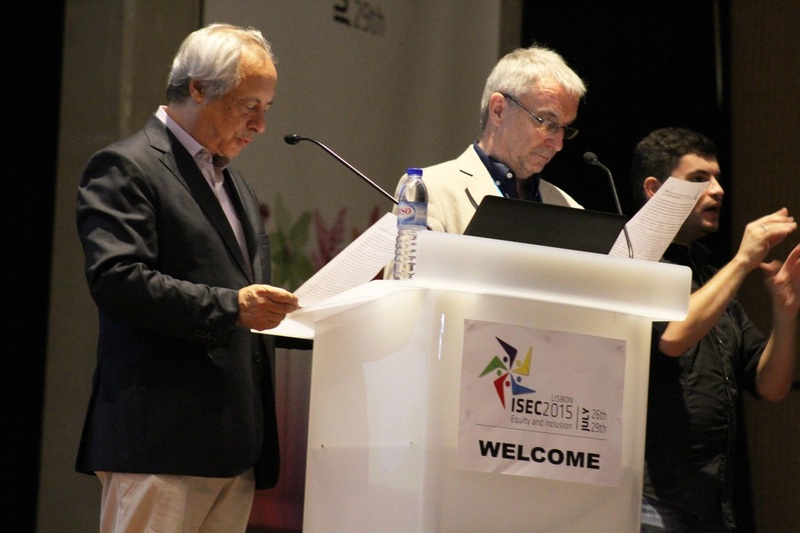 Professor David Rodrigues and Professor Mel Ainscow, reading "The Lisbon Educational Equity Statement", at the closing ceremony of ISEC2015Lisbon, 29th July 2015. "The Lisbon Educational Equity Statement, July 2015. 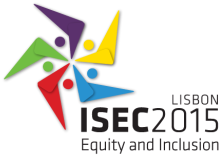 We, the delegates at the 8th Inclusive and Supportive Educational Congress, held in Lisbon 26th - 29th July 2015, reaffirm our commitment to work with others in promoting equitable education systems across the world. In so doing, we offer our support for the Incheon Declaration, ‘Towards inclusive and equitable quality education and lifelong learning for all’, agreed at the World Education Forum, in May 2015, which sets out the international policy agenda for the next fifteen years. In particular, we commit to addressing all forms of exclusion and marginalization, disparities and inequalities in access, participation and learning outcomes. In this way our goal is to ensure that the United Nations’ Education for All agenda really is about ‘all’, by promoting the development of inclusive schools. We believe that moves towards inclusive schools can be justified on a number of grounds. First of all, there is an educational justification: the requirement for inclusive schools to educate all children together means that they have to develop ways of teaching that respond to individual differences and that therefore benefit all children, rejecting the classification of students as “normal” and “special”. Secondly, there is a social justification: inclusive schools are able to change attitudes to difference by educating all children together, and form the basis for a welcoming, participating, just and non-discriminatory society. And thirdly, there is an economic justification: it is likely to be less costly to establish and maintain schools which educate all children together than to set up a complex system of different types of school specializing in different groups of children. 8th Inclusive and Supportive Education Congress. Statement in Portuguese - here.